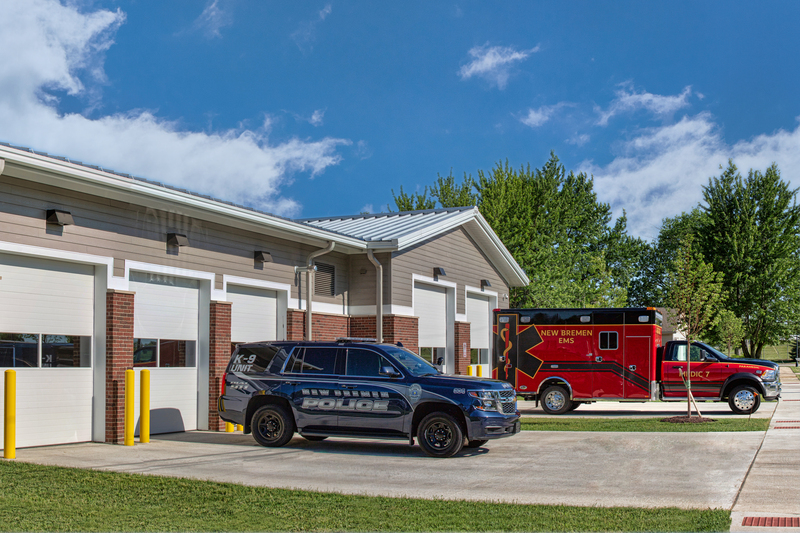 As a result of a village facilities study, it was determined that a new facility was needed for the police department and EMS. 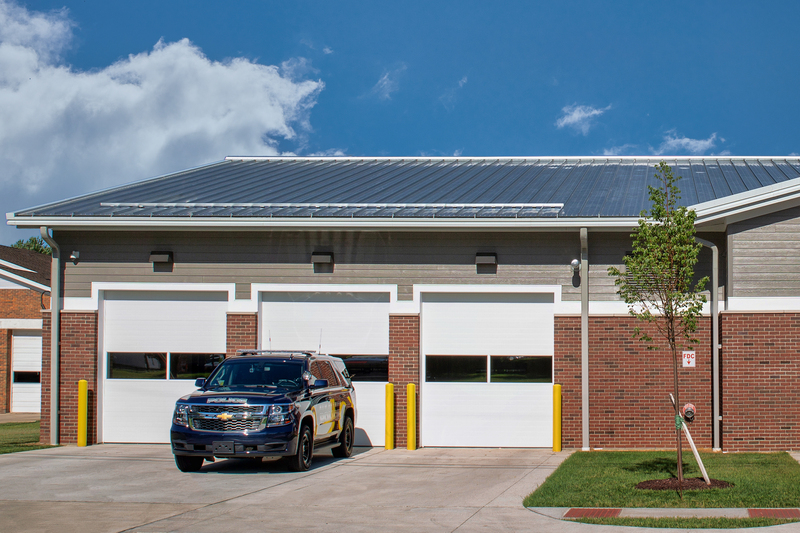 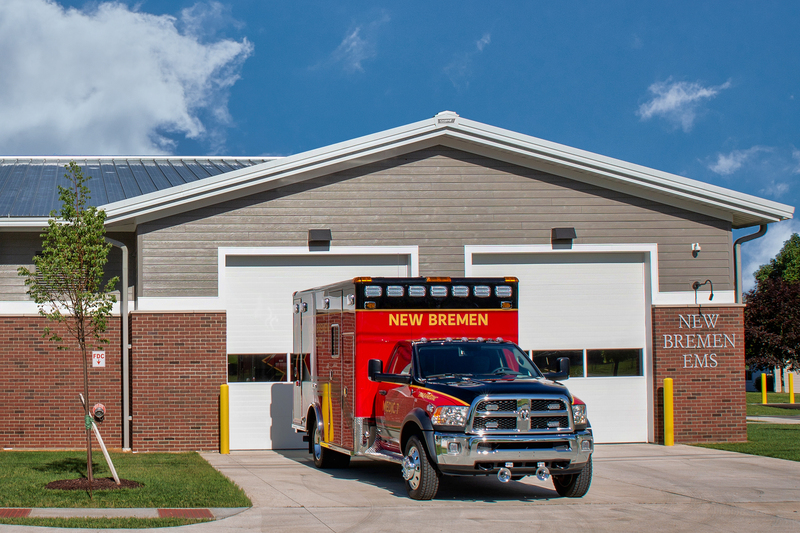 The Village of New Bremen constructed a new 10,600 sf police and EMS facility. 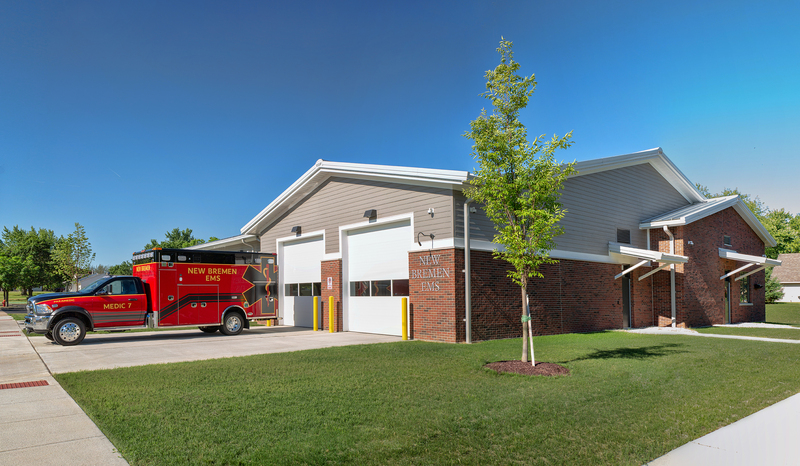 The facility is located next to the current municipal building. 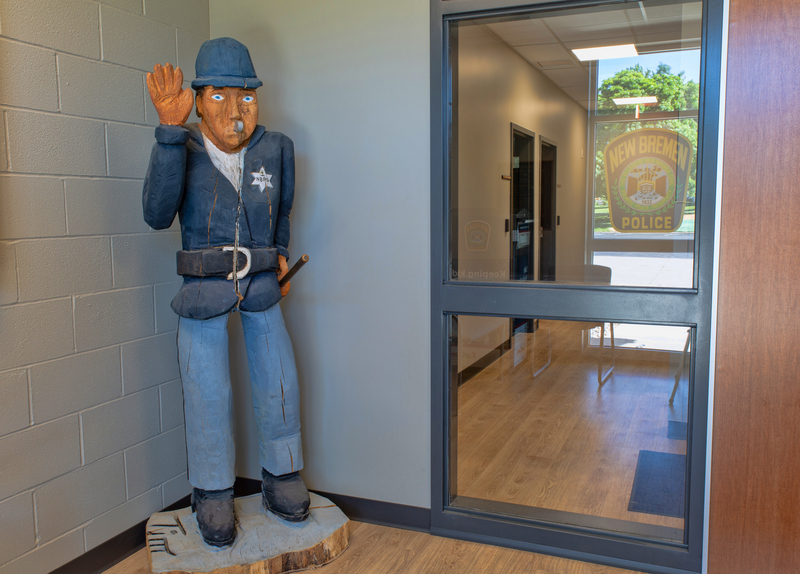 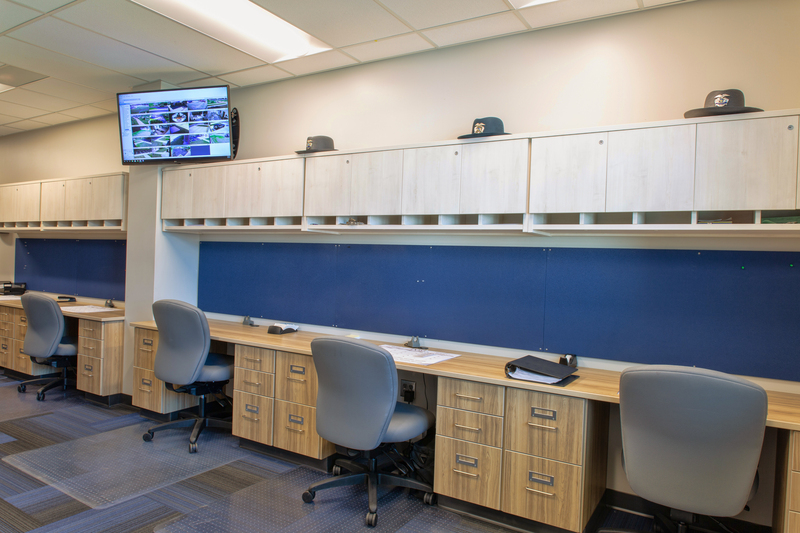 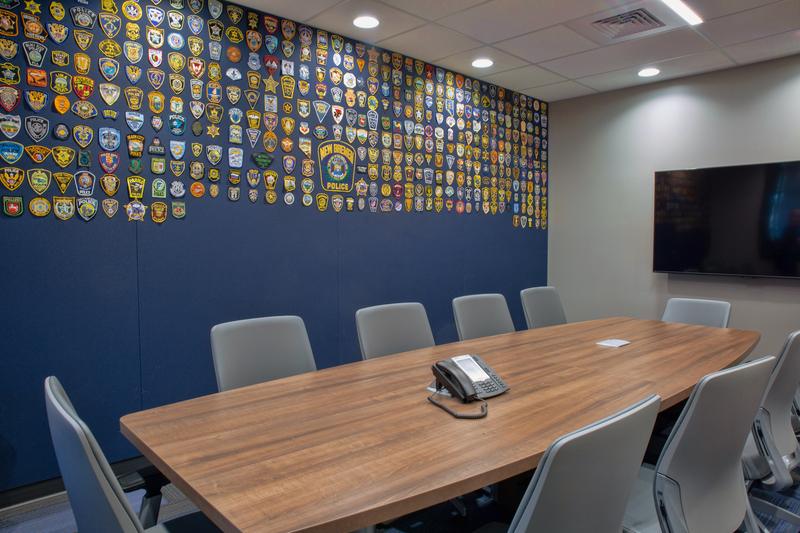 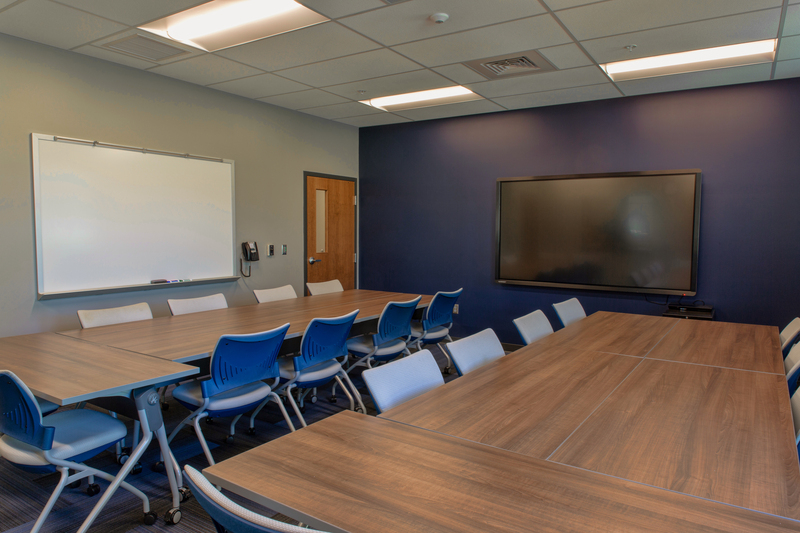 The new facility has three bays for patrol cars and two bays for emergency squad vehicles as well as much needed office, conference and training spaces. 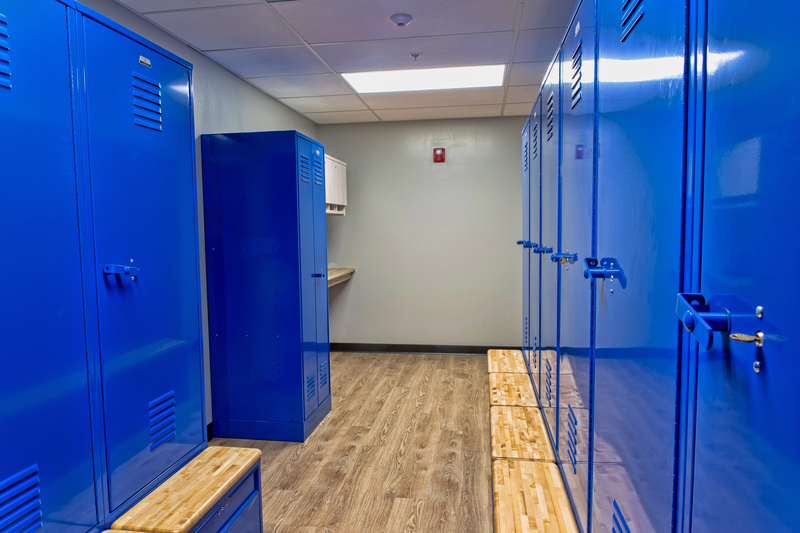 The basement has locker rooms and storage space with additional room for growth.